The weather agency says precipitation will begin as snow overnight, changing to ice pellets, and then freezing rain. Snow and ice pellet accumulation ranging from 4 to 8 centimetres is expected on gusty east winds. 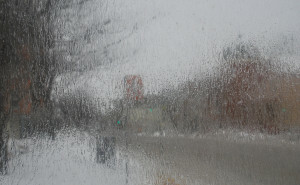 Forecasters say freezing rain is likely to continue for two to six hours before changing to rain Tuesday afternoon. Motorists are urged to adjust their driving to changing road conditions.